Each year we measure our impact on the people that we aim to help. In 2017-18 Hackney Winter Night Shelter received over 200 referrals. Of those, we were able to provide beds for 102 men and women. We also worked with a further 21 people to help them access a range of other support services. People stayed with us for periods that varied from a few days to several months. We secured move-on accommodation for 69 of these, with different housing options such as private rented accommodation, supported housing, migrant hosting services and some council accommodation. Some were reconnected with their families after relationships had broken down. We were open for 151 nights, filled a total of 2,738 beds and served more than 5,000 meals. Our guests came from a diverse range of backgrounds and ethnicities, with 32% being women. A number had issues with drug and alcohol abuse, some with mental health or physical health conditions. The shelter is not able to cater for those with more complex or multiple needs, and these are referred to our partners who are better equipped to support them. 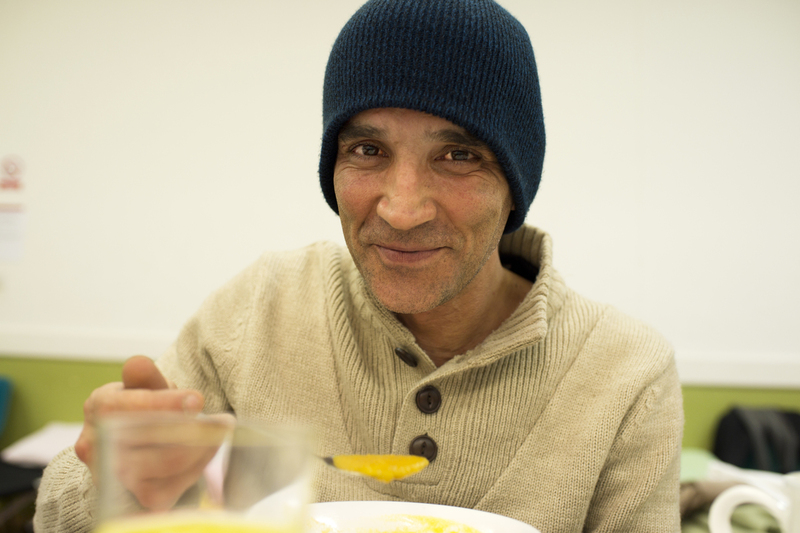 At its most basic level, the shelter provided a safe place to sleep, with nutritious meals away from the harsh reality and danger of living on the streets. Many found being in the shelter gave them the time and space to start to rebuild their lives, with the support of our Advocate Workers. They were able to access medical treatment and for some, being signposted to legal or financial advice was a first step in addressing some of the barriers that they needed to overcome. Our Discretionary Assistance Fund helped people with mobility problems to buy a bus pass for travelling between the shelter venues, paid for travel to attend work interviews or assisted some to get new ID documents where these had been lost. The Fund helped to buy emergency items of clothing or toiletries and purchased a number of "move-on" packs which meant that people could buy essential items for a new home, such as a kettle and toaster or microwave.